The Executioner, the last DLC of The Evil Within, will put you in the shoes or blood-soaked boots of The Keeper on May 26th. Meanwhile you can get a look at it with the trailer inside. 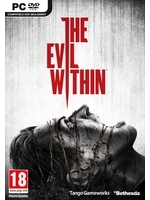 Bethesda please announce a sequel to The Evil Within at E3, by Tango, thanks.